If you want to set up a WordPress Ecommerce website then read this article. You will learn how to download and install WordPress and which plugin to install to build a eCommerce website. Those who are associated with any sort of online buying and selling business must possess a good web presence. Maintaining a good website is the asset to hold strong in competition. If you create an online business, the overall look and feel of your shopping store must be appealing and attract potential buyers. Although there are various frameworks available today for creating alluring web designs, WordPress is the preferable CMS website builder because of the indefinite number of plugins and themes available with it. This allows the user to make beautiful eCommerce websites with incredible functionality. 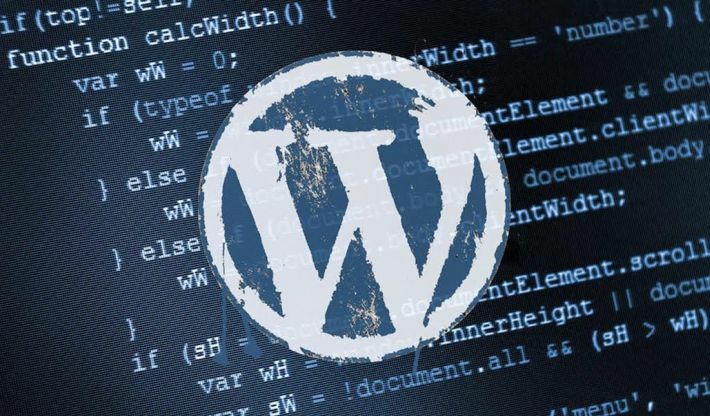 The best part about using WordPress is that anyone can create a website using it. So, even if you don’t know the programming concepts, development is not so tough. Whether you have to add a slider to your home page or include a customer friendly shopping cart, this can be done using a plugin, which is specifically meant for the same purpose. WordPress was initially meant for making blogs, but now it has expanded is wings among eCommerce development as well. So, if you have planned to make a WordPress Ecommerce website, you must follow a few of the basic rules which can make your task less hectic and your design more attractive. Very obvious but crucial task when you start creating a WordPress Ecommerce website is to install it on a hosting account. After it has been installed correctly, the next step to building your own website is to add more features to it. Your main focus must be to convert your regular website into an eCommerce website. It means the site must possess product pages, an exclusive shopping cart and an easy going checkout process. E-commerce functionality can be added to a WordPress website by installing and activating a E-commerce plugin. The most common plugin which is used is WooCommerce. It is the favorite E-commerce plugin of developers because of the endless flexibility it offers. To sell anything, and have complete control over your store is quite easy with this useful plugin. WooCommerce plugin needs to be installed first. Go to the Dashboard and select Add New Plugin. Search for WooCommerce and then install it. Next activate this plugin and move to initial settings. You can customize several pages from here. At Page Setup, you will find the option to create separate pages for Shop, Cart, Checkout and My Account. Next, you will have to set up your Location, Currency and Units via Store Locale Setup. After that you will get option to define Shipping and Tax Setup, along with Payments. Your online shopping store is ready now. You can now add products or move further to the dashboard. As you are creating a store website, you have to select a compatible theme which will best suite your online store requirements. Your eCommerce theme should look good. Be fast loading and have everything you need to build a online store and sell your products online. Check all the store default settings to ensure whether they are right change the ones that you are not happy with. The theme which you have chosen will decide the look and feel of product pages to a great extent. But still, there are few of the factors which need to be keenly focused. Product images, tags and categories are the mandatory part to keep a major focus on. Following all the above points will generate a striking eCommerce store with all of the features and functionality embedded into it which can make it appealing enough. A fully functional website, of any domain, will definitely receive a good traffic and elevating sales, in turn. This is actually what you came for, and created a web space for the same. But here, you have to analyze your business requirements and target customers to make the best use of your shopping store. It means to have a large focus on how many products you have, how wide your target area is, and many more. You cannot follow them with closed eyes. It is a long journey of WordPress, from being a mere blog writing source to a full blown CMS with utmost capabilities. With the advancement, the process of making diverse web solutions becomes easy, an this is the reason that a blogging CMS can be used for making an E-commerce store as well. Thanks to the advancement again that people can now think of starting a shopping store, unlike the old days when online business was only for millionaires. It would require a lot of investment for all the related events, starting from the website setup to the payment process, and similar scenarios. Without much technicality, an alluring WordPress eCommerce website can be made for any kind of business. Make use of the immense range of themes and plugins available and allow more features and customization in it. Your purpose of running a successful business can be hopefully fulfilled, and it won’t cost that much.